I wish I could plug everyone's favorite retailer Riding Warehouse here, but Bit of Britain beat them to the punch by carrying the new line of Majyk Equipe boots first! So beautiful, they're like art. I'd put a set on my horse AND my walls. You all know I am not a tack ho - I own just one bridle, therefore Aimee won't let me into that club - but I do have a confirmed love affair with Majyk Equipe products. Anyone else? What boots are on your wish list or shopping list right now? 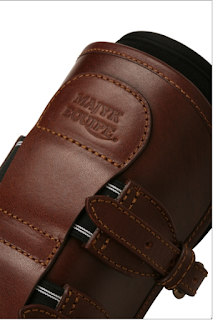 I am the first person I know that owned a pair of Majik Equipe boots. I bought them at Rolex 3 years ago before they were officially even released. I have been a fan ever since. The science, the quality and the customer service cannot be beat. I will be looking into the new generation though the quality makes it do that I won't need a new pair for a very very long time still. Maybe I'll pass mine onto Lego and I'll get a new pair. Your blog was the first time I've heard of them! You should definitely pass them on and buy the gen2's. Perks of having kids that ride, right? I'm very excitedly awaiting my leather open fronts with stud closures!!! SOON! Ahhhh I wish I could justify the cost! I'll admire them from afar. I am in love with my generation 1 dressage boots (they have done their fair share of xc too! I tried a used set of the G1 xc boots and they just spun around on Prisoner's legs no matter how tight I put them on. 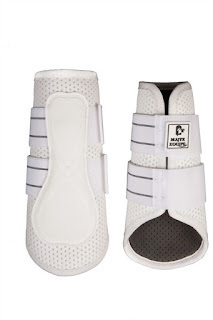 It was like the strike pad was too flexible and wanted to be flat against the side of his leg instead of wrapped around the back, I was so sad, I wanted to be in complete love with them. I keep meaning to message ME and see if they think the G2 will fix this because I love their boots! I really think they may solve that issue. The gen2's are a lot more flexible around the leg with a smaller strike plate/stiff area. I bet the strike plate was just too wide for his leg in the old ones. I'm fairly certain that I NEED those leather open-fronts. they sure are pretty! 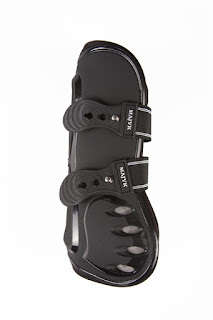 perhaps i'll give the xc boots another shot with their new fitting options if i ever get money again lol. They're definitely worth a try if you had sliding issues with the old ones. The smaller strike plate really makes a difference in fit. They are sooo pretty... alas, I am too lazy for boots and nobody at my house really NEEDS them. I will vicariously enjoy your pretties! They're great, I've used the gen1's for a year, and I really like them. Seriously, those leather open fronts are gorgeous! No kidding, I wasn't kidding when I said they are basically art. 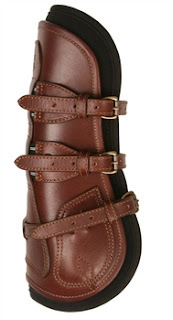 Is it wrong to want to buy more horses... mostly so I can justify buying more pairs of boots? I see nothing wrong with that logic! Haha yeah def need AT LEAST one more bridle to be in the club, though your boot fetish is promising. I mean, I'm considering reducing the bridle herd to 3 and it's giving me heart palpitations. Is it a boot fetish? It might be a boot fetish. I don't even show in a sport that requires/uses leather open fronts and yet I want them like damn. If you reduce the bridle herd and have anything in Cob...call me.